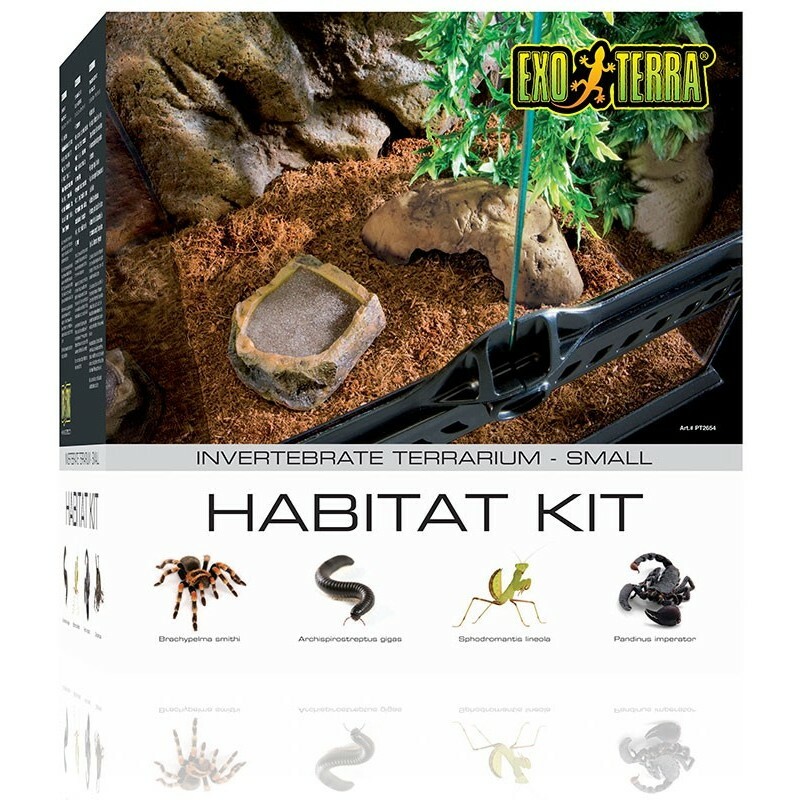 The Exo Terra Invertebrate Habitat Kit is the ideal set-up for the beginning entomologist! The kit comes with all of the components necessary to give your hobby a successful start! The Exo Terra Invertebrate Habitat Kit is the ideal set-up for the beginning entomologist! The kit comes with all of the components necessary to give your hobby a successful start - including the Exo Terra Glass Terrarium with lighting system. 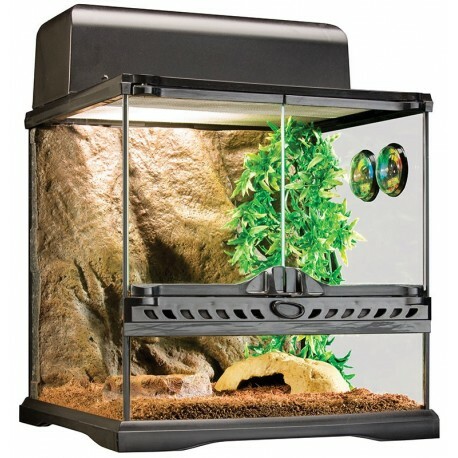 The Exo Terra Glass Terrarium features front opening doors, allowing easy access for maintenance and feeding. The full screen top ventilation screen is made from stainless steel to prevent escapes. The Exo Terra Compact Top canopy (included) was specially designed for the Exo Terra Glass Terrarium. This easy-to-install lighting system contains a fixture with reflector and an Exo Terra Daytime Heat Lamp bulb.